I will admit, I am pretty healthy and I am pretty obsessed with being so. I geek out when I hear about a new health documentary coming out, and I spend my time reading new ways to incorporate coconut oil and apple cider vinegar into my life. 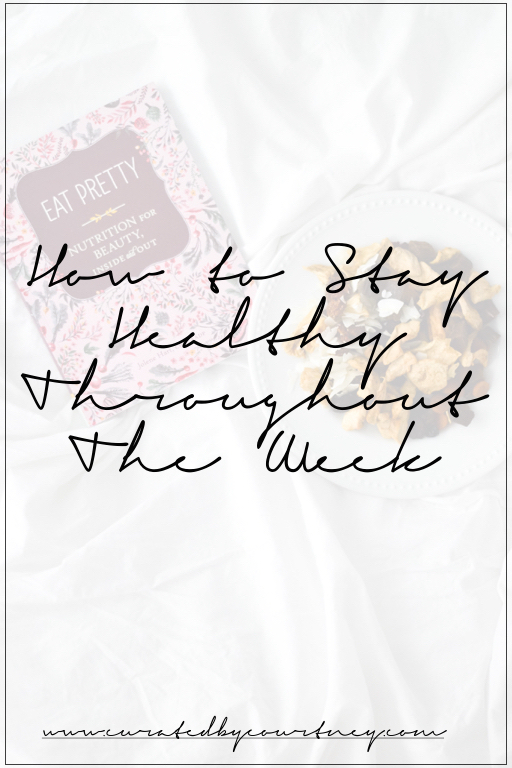 I will write a post on all of the above another day, but for now, let’s talk about my 5 tips for staying healthy throughout the week! I have always struggled with consistently being active. I used to play the “busy” card and let life tasks and social events take priority. Making time to be active is a choice and you can find a way to work it into your schedule! I am not saying you have to workout 7 days a week, but being active regularly is beneficial for your body and mind. I use ClassPass to workout at different classes and studios around Dallas. I never get bored of my workout routine. Everyday is a different type of exercise and a different challenge! You can get $20 off your first month on ClassPass by signing up at this link. Drinking water is not only a great way to stay hydrated, it is an easy way to cut calories! Switching from soda to water can save you hundreds of calories a day. Additionally, the large amount of sugar in soda is horrible for your body and energy levels. I keep a water bottle in my purse, on my desk, and in my car. I never leave the house without a water. Abs are made in the kitchen! The difference I feel when I wake up on a Wednesday morning v. Sunday morning is enough to keep me motivated. After a night out of (typically) unhealthy eating on Saturday, I wake up feeling groggy, congested, my brain is foggy, and I don’t feel 100%. After a few days of healthy eating, I wake up with better energy levels, am more alert, and feel better all around. I intentionally do not keep “bad” food in my house, all it does is tempt you. 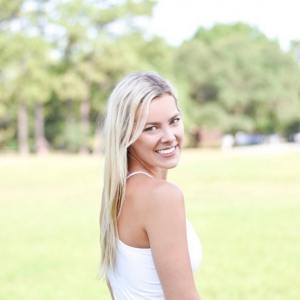 This is the #1 tip I have for staying healthy throughout the week! On either Sunday or Monday I go to the grocery store and stock up on everything I will need for the week. I plan what I will eat for lunch and dinner and even my afternoon snack! Doing so keeps me on track and gives me more free time when I get home from work, giving me no excuse not to go to pilates. I clean and chop all my vegetables for the week ahead of time and put them in Pyrex dishes (my kitchen guilty pleasure)! This is a lifesaver for when I am running around, get stuck in traffic, or am traveling. The last thing you need is a reason to grab something unhealthy in the Target checkout line. A service I have recently fallen in love with is Graze! Graze keeps healthy snacks coming to your door every week. The snacks come conveniently packaged and are easy to throw in your purse for on the go! You can get your first box free with code “HASHTAG”. The main thing I always think about before I eat something is, “how will this make me feel?” I also think of what I am trying to accomplish during the current week from a health/fitness perspective, and how what I am eating will play into it. Understanding what good and bad food does for your body is a great motivating factor! Stay tuned for a post about my favorite health reads. The book in the photo above is called Eat Pretty and is one of my favorites!